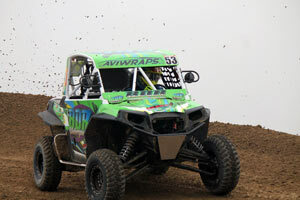 Anaheim, Calif. – Jan 22, 2015 – On an uncharacteristically foggy day, Round 1 of the 2015 Rocky Mountain ATV/MC WORCS Racing Series kicked off at Honolulu Hills MX in Taft, California. With the increasing popularity in SXS racing at the WORCS series, the launch of three new classes (Pro Stock, 1000 Stock and Ace) made its debut with a great turnout. 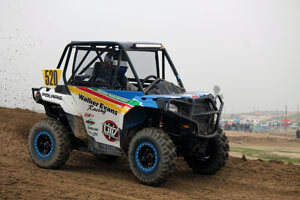 GBC Motorsports was all over the podium with three class victories and three more podium finishes. RJ Anderson took a convincing win in the premier SXS Pro class at Honolulu Hills. 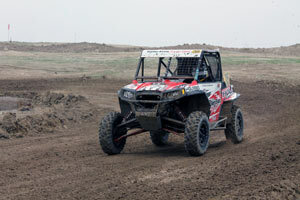 Anderson had his GBC Mongrel equipped Polaris RZR XP 1000 dialed in, as his fastest lap was a staggering 20 seconds faster than the rest of the pack. The SXS Pro win is a great start to the season for the past WORCS SXS champ. In the SXS Pro Stock class, Ronnie Anderson piloted his brand new GBC Dirt Commanders equipped Polaris ACE 570 to a third place podium finish. This finish earned Anderson 20 points to start the season and notched the sixth overall SXS position. Tyson Leaver finished the race in 9th place, earning 12 points and a 17th place in the overall standings. Mike Gardner pulled the SXS 1000 win, earning 25 points and top spot in the standings. RJ Anderson also raced in the 1000 class, finishing in sixth place despite the fact that he had one of the fastest laps of the entire pack. Shelby Anderson won the SXS 900 class aboard GBC Dirt Commanders while fellow GBC racer Larry Heidler followed close behind (4 seconds to be exact) in second place. Like his brother, Ronnie Anderson doubled up on the day and raced the SXS 600 class. He finished third, making it two podium finishes on the day. 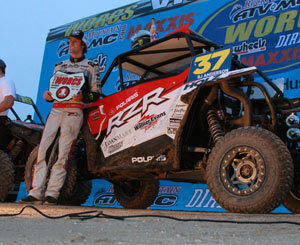 Buffalo Bills in Primm, Nevada is the site for Round 2 of WORCS Racing, set for Feb 6-8. 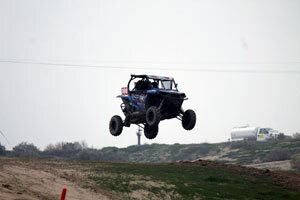 Learn more about GBC Motorsports Dirt Commanders, Mongrels, and more by visiting www.gbcmotorsports.com. Follow us on Facebook, Twitter and Instagram to get the latest product and racing updates.